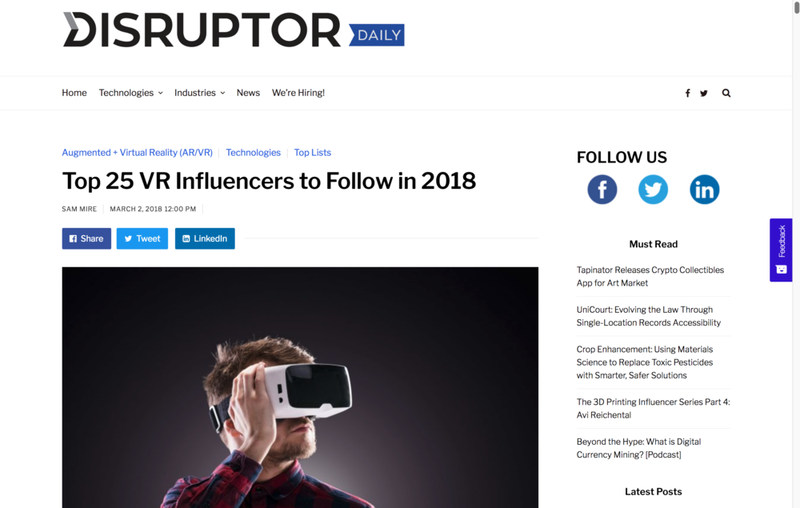 DISRUPTOR named John one of the top 25 influencers to follow in 2018. To see the rest of what they had to say about John and his work, click here. Chief Content Magazine featured John in their May 2018 cover story about his work at the intersection of mythology, storytelling, and Virtual Reality. John discussed the history and mythology behind the most prominent superhero myths in pop culture, including Batman, Superman, Wonder Woman, and Iron Man, alongside other experts including Stan Lee and George R.R. Martin. The two-part series aired on The History Channel in spring of 2017.